I create content aND EXPERIENCES RELATED TO travel and meaningful living. I write, photograph, advise and speak on matters related to Travel & Meaningful Living. Travel & Meaningful Living content including travel, lifestyle, health and editorials via my blog. With myriad travel review sites and apps in existence today the sheer volume of information can be overwhelming — even for the most seasoned travelers. My expert travel advice helps cut through the chatter to help create the ideal travel experience. Prague Meander℠. A friendly stroll under the red roofs. A coffee and chlebíčky. A window on life during communism and what the future holds. Candid opinions about local establishments from eateries to accommodation and not-to-be-missed sights. Prague Piknik℠ . What happens when you combine great company, great conversation, sunshine, an awesome patch on the grass, splendid views and brilliant food? It’s a picnic, or piknik in Czech! All the feelings of a tourist fade away. You belong here. Western Bohemia: Karlovy Vary and Loket Castle. Sip the curative waters, splash around in a beer bath and stroll along the historic Colonnade in this reclusive resort spa town tucked into the hills of western Bohemia. I've had the good fortune of helping thousands of travelers during my career through published travel guides, meaningful experiences and curated content. One delightful curiosity-seeker writes about her time in Prague and shows how I create meaningful experiences for visitors to the Czech Republic. Although the Czech Republic is consistently rated one of the most peaceful nations on the planet it continuously surprises me the number of travelers who, in their foggy state of travel bliss, seem to misplace all sense of caution and awareness. Here’s an overview of recommendations and reminders in order to help you travel discreetly and safely under the radar here in Europe. Access all of my blog content here. FOR NEARLY TWO DECADES I'VE traveled and LIVED ABROAd acquiring an eclectic roster of travel wisdom and life experiences. Hosted an Instagram takeover for the official tourism authority of the Czech Republic. 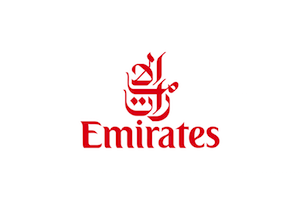 Attended and created content for the official launch of Emirates A380 service in Prague. Twice hosted a dozen professionals working remotely in Prague for one month. Served as Communications Director and Editorial Contributor Avant-Guide: Insiders Guides to Progressive Culture the most hip and practical guide to Prague and other popular city destinations like Chicago, Las Vegas, London, New Orleans, New York, Paris, San Francisco and Toronto. Assisted in editing Park Life the official cookbook from Prague's pioneer of flavor the Kampa Group. Served as chief content creator for the first and most popular blog on Blue Ocean Strategy, the worldwide bestselling business book, creating 1.200 posts over nearly a decade. Managed book launches, website launches, high-level events and single-handedly secured interviews and endorsements for clients from some of the world’s most renowned individuals, from billionaires to nobility to rock stars. Entirely self-taught in Czech language and certified by the prestigious Karlova Univerzita (Charles University) in Prague. opportunity is departing the station. Go on and say hello. it could lead to a million things. Indulging me with a mail is the best way to get my attention.